The Gossamer Gear Silverback 55 is a refined and highly functional multi-day backpack that can easily configured in different ways for different kinds of trips, from long distance thru-hiking to multi-day backpacks, on and off-trail. This is the second iteration of the Silverback and it’s undergone some major changes, on balance for the better, although the previous version was pretty impressive in its own right. 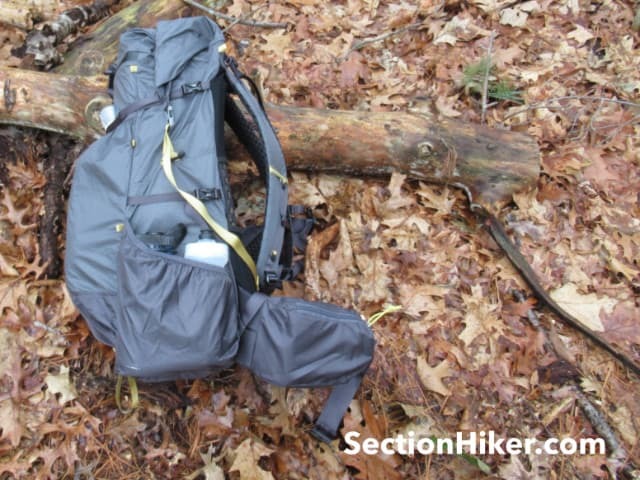 For example, Gossamer Gear changed the frame, replacing the tubular stay with a new internal framesheet, added another 5L of storage, and made the Silverback a roll top backpack with an optional top lid. On the flip side, the Silverback 55 gained close to 7 oz of weight over the previous version, fully configured, making it the heaviest backpack in Gossamer Gear product line, topping out at 43.4 oz. That may well disqualify it for backpackers seeking only the lightest possible gear, but the Silverback 55 is also a modular backpack, so you can remove some components and lower its weight. It’s also Gossamer Gear’s most expensive backpack at $325. But if durability is important to you, especially for off trail use and winter hiking, as well as function and comfort, then the Silverback 55 is definitely worth a closer look. The Silverback is a roll top backpack with an optional top lid that can be used if you want the extra storage and organization it provides. Roll top packs provide excellent top compression and let you shrink the main compartment volume when it’s not needed. They also provide instant access to the contents of the main compartment without having to move a pocket out of the way, undo a drawstring closure and webbing straps. The Silverback roll top clips to itself when used with the optional top lid, or to side straps on the main compartment if the top lid is removed. The Silverback 55 configured with the top lid pocket. The top lid has single zippered pocket and is well sized for storing extra gloves, snacks, and navigation equipment, but doesn’t have a key fob. The top lid is configured as a floating lid, so it can be raised or lowered depending on height of the main compartment. You can also sandwich extra gear under it like a foam sleeping pad or jacket if they won’t fit inside the rest of the pack. If you choose to add the top lid, you do still have to go through the roll top to access the main compartment. The top lid is connected to the main pack using gatekeeper clips, which pop open when you squeeze them. These are surprisingly durable, despite the wire hinge, and a lot of backpack makers have started using them. The top lid is connected to the pack using gatekeeper buckles and is easy to remove. The top lid fits neatly over the roll top when it’s fairly empty, but has a tendency to fall down the front side of the pack if you overload it with heavy items and extra clothing. 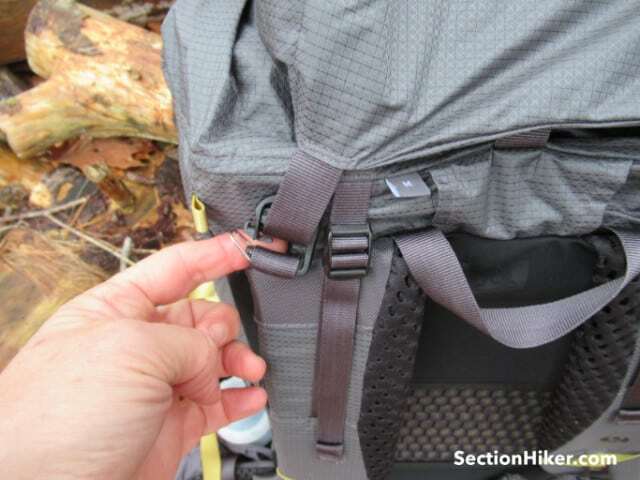 This is a common problem with most packs with top lid pockets. It’s one of the reasons why I prefer using a roll top most of the time. The main compartment has a hydration sleeve with a central hang loop if you want to use a hydration reservoir, with a centrally located hydration port between the shoulder pads. There’s also an internal pocket that holds the new Silverback framesheet, which is removable. There’s no other organization or access to the main compartment except through the roll top. The Silverback 55 has a new front map pocket that closes with a waterproof zipper and can be used for a variety of purposes. It’s perfectly located if you’re on a trip that requires a lot of map reading and navigation stops, but can also be used to store smaller items like a GPS or smartphone if you chose to discard the top lid. The Silverback has a large open stretch pocket on the front of the pack that you can stuff jackets or a wet tent into, complete with a drain hole at the bottom. This pocket is hard-faced for better durability, unlike a mesh pocket than is easily shredded by surrounding vegetation if you step off-trail. There are also open water bottle pockets on the sides of the pack that are easily reachable while you’re wearing the backpack. They can each hold two 1L Nalgene bottles and have elastic borders to help keep the bottles secure, along with bottom cutouts for drainage. The side water bottle pockets can hold two 1L bottles. Finally, the hip belt includes two large sewn-on, zippered pockets. There are both hard-faced with solid fabric and are large enough to store multiple food bars, a smartphone, or a pair of bunched up fleece gloves. There aren’t any other gear loops on the hip belt that you could attach a carabiner or hold a tool with, which limits the hip belt’s utility in winter. The hip belt is removable and replaceable so you can swap out different sized hip belts, although a medium length hip belt is only available on the Gossamer Gear store at this time (more on this below). 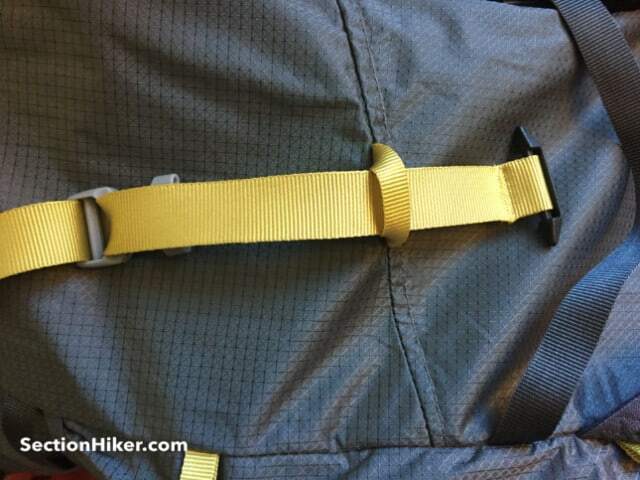 It’d be nice if Gossamer Gear offered an alternative hip belt with gear loops instead of pockets, so winter hikers and climbers could rack gear on them. The Silverback 55 has a framesheet which replaces the U-shaped aluminum stay which is still used in the Gossamer Gear’s other backpacks, including the Mariposa 60 and the Gorilla 40. 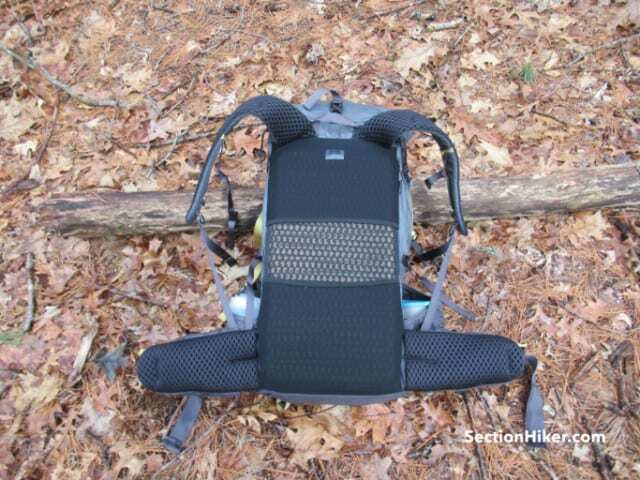 As someone who’s been using Gossamer Gear packs for over a decade, back in the old days when the company used arrows as frame stays, I never thought I’d see the day when they made a backpack with an internal framesheet. It is removable, although doing so will significant reduce the load carrying capacity of the Silverback from 35 lbs down to 20 lbs. The Silverback 55 framesheet is stiff and supportive, but also flexes to adapt to your curves and anatomy. While it is non-adjustable, it is much easier to remove and reinsert, compared to the aluminum stay in Gossamer Gear’s Mariposa and Gorilla backpacks, which slots into pockets in the hip belt and can be a struggle to configure properly. I wouldn’t be surprised if Gossamer Gear replaced the aluminum stays those packs, if only to make them less intimidating for new customers who are unfamiliar with the frame stays used by ultralight gear manufacturers. In addition to the framesheet, the back of the Silverback is padded with a piece of mesh-covered convoluted foam to help channel sweat away from your back. It makes a great sit pad and is easy to remove and replace when you want an insulated or dry place to sit on during breaks or when cooking dinner. A sit pad and pad sleeves has always been a signature feature of Gossamer Gear packs and it’s easy to become addicted to using one since it’s so convenient to pull out. 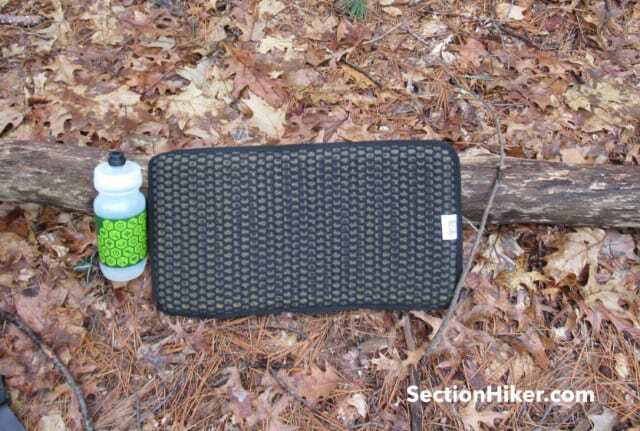 The back padding is removable and makes a nice sit pad for rest breaks. While the framesheet is new, the Silverback is still primarily a unisex backpack with wide J-shaped shoulder straps that may be uncomfortable for men and women with well-developed chests. However, both the shoulder straps and the hip belt are covered with thick and comfortable foam and mesh, making them better suited for people with “curves.” The hip belt also provides a nice wrap, around and over the iliac crest, providing excellent load transfer, if you get the right hip belt length. The mesh covered sit pad provides some back ventilation. One of Gossamer Gear’s key differentiators has always been the ability to choose a hip belt length that’s a different size than a pack’s torso length size. For example, you could buy a large length torso with a medium length hip belt if you were tall and thin or to match whatever body shape you have. You can still buy a different sized hip belt with the Mariposa 60 and a Gorilla 40, but at the moment you can only get a medium sized hip belt for the Silverback 55. 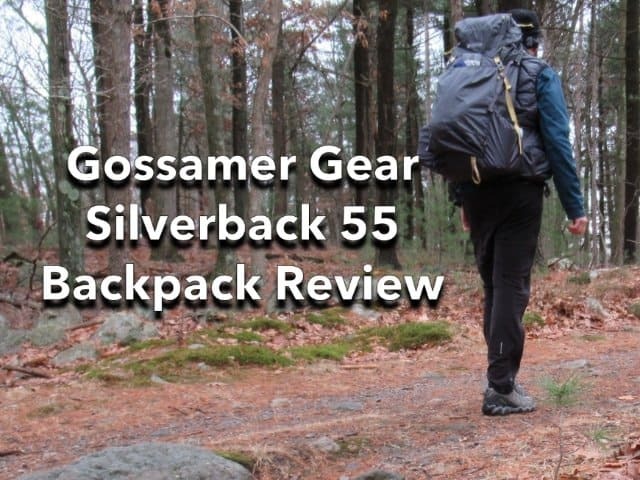 Gossamer Gear does plan to offer a small and large Silverback 55 soon, but it’s not currently available now. Unfortunately the Silverback 55 hip belt is not interchangeable with the Mariposa 60 and Gorilla 40 hip belts, because the velcro that attaches it to the pack is on the other side. Two tiers of compression straps make it easy to carry snowshoes. 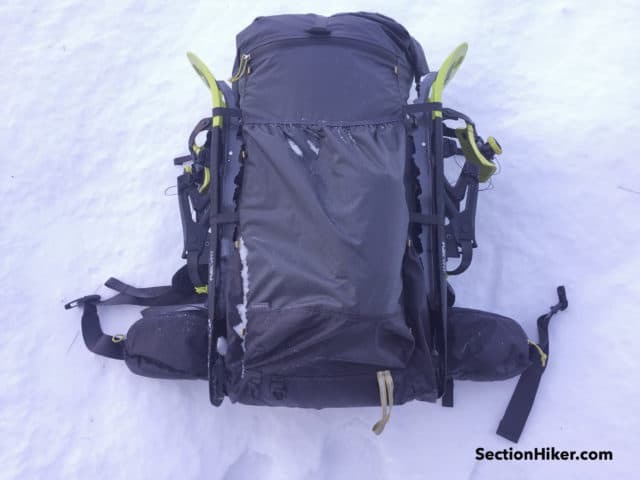 The Silverback 55 has two tiers of side compression straps that make it easy to lash gear to the side of the backpack, including snowshoes or a folded up Thermarest Zlite pad, since the straps are long enough for this purpose. Both compression straps close with buckles, making them easy to use for this purpose. Roll top configuration clipped on top. You can also clip the buckles to side straps. There are also numerous gold-colored webbing loops sewn into the seams of the Silverback that you can run your own cords through. There are four of these on the top lid, eight on the front of the pack, and two above the shoulder pads on the pack’s rear. Gossamer Gear sells some wonderful shock cord compression kits ($6) that include four cordlocks for just this purpose. They work with any backpack and I stockpile them myself. 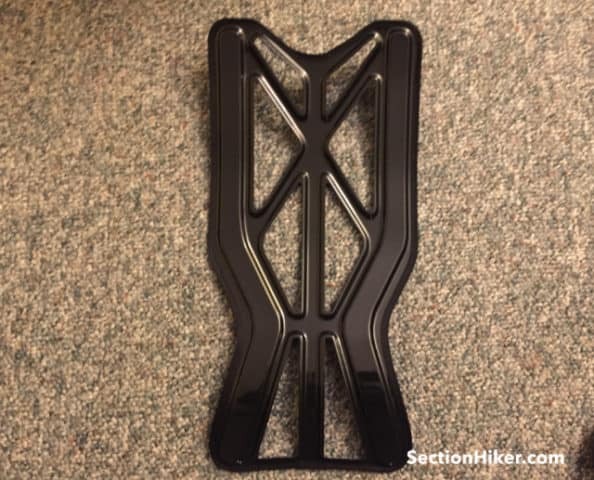 For example, if you wanted to attach snowshoes to the front of your pack, so you could use the side water bottle pockets to carry insulated bottles for winter hiking (where you can reach them), you could tie two horizontal runs of compression cord across the front of the pack to hold your snowshoes. Of if you wanted to carry a foam pad on top of the main compartment, you could create a Y-strap configuration to run over the top of the pack. The possibilities are endless. It’s easy to remove some straps without having to cut them off. In the spirit of modularity, you can also remove unnecessary straps from the Silverback 55, so you don’t have to cut them off. There are only three of these straps on the Silverback, so the weight savings are minimal, but it can reduce unused strap clutter, depending on how you configure the pack. The Gossamer Gear Silverback 55 is a comfortable and modular lightweight backpack that can be configured for a wide variety of different backpacking trips. While the Silverback 55 (43.4 oz) weighs substantially more than Gossamer Gear’s other backpacks, the Mariposa 60 (30.5 oz) and the Gorilla 40 (30.5 oz), it’s more durable, especially off trail, because it doesn’t have a front mesh pocket and uses heavier duty fabrics. 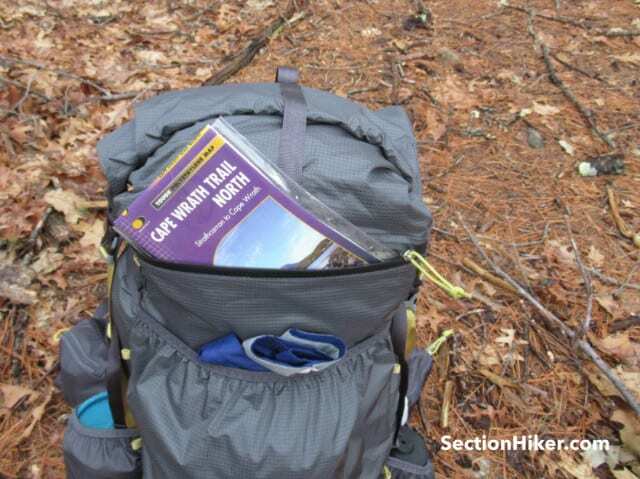 It’s also far more modular and functional with an optional floating lid, a roll top, and a new map pocket, all features that are not available on the company’s other packs. If you’ve been looking for a multi-day or thru-hiking backpack with the features and carry that make Gossamer Gear packs so desirable, but have held back because you prefer a pack with roll top or a top lid, the new Silverback 55 should be on your short list. While the Silverback isn’t the lightest weight ultralight-style backpack available today, it’s hard to beat the polish and ease of using a Gossamer Gear backpack. 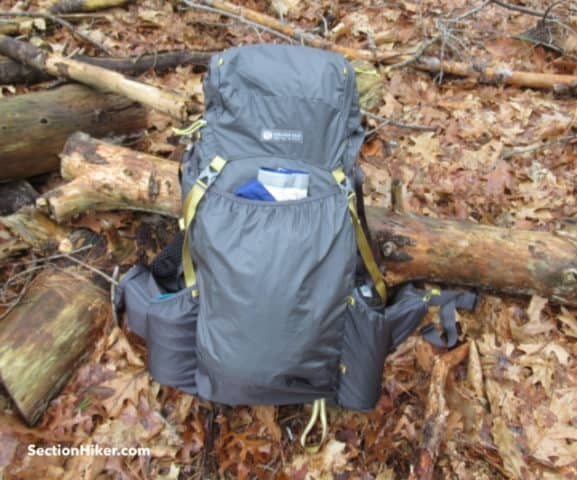 Disclosure: Gossamer Gear provided the author with a backpack for this review. 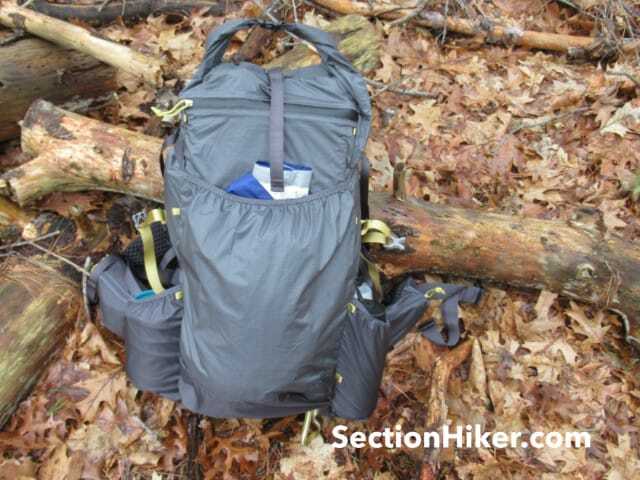 The post Gossamer Gear Silverback 55 Backpack Review appeared first on Section Hikers Backpacking Blog. A perfect day, Cliffs of Moher, Ireland.